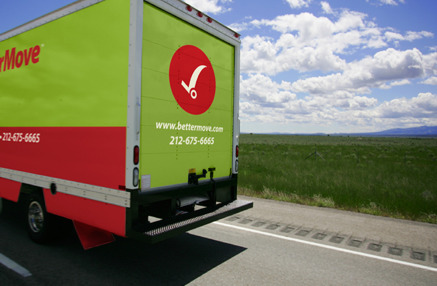 Our mission at Better Move is simple: to give you an easy and affordable moving and storage experience. 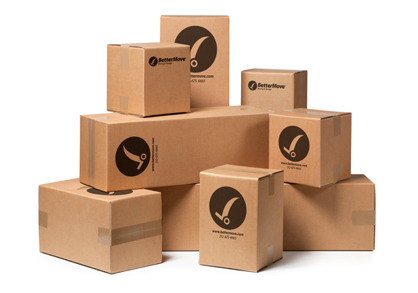 With 15 years in the moving and storage business, our founders took standard industry methods to a new level and saw a new way to give you a better move. We believe in honest and fair pricing. We are experts in the industry and pay attention to every detail. Your satisfaction is our top priority. 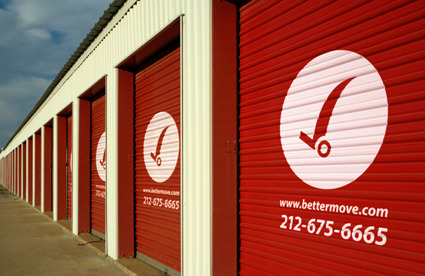 Whether you're moving across the street or across the world, or need secure storage for your possessions, you can trust Better Move to treat your belongings with care and help make your transition smooth and stress-free. 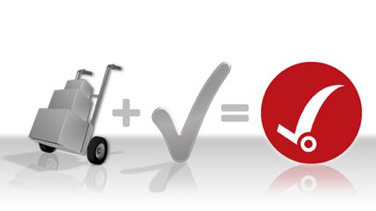 Movers can be a nightmare, and it's hard to get a good mover recommendation. So, take it from me: Go with Better Move. Professional, reliable, and half the price of other quotes we got. The sales office is experienced and have a great can-do attitude. The crew we got on our two moves (Patrick, Richie, and the guys) showed up early, were flexible, worked quickly, and were great to work with. Just pack some cash, because you will really be happy to tip these guys well when the day is done. I scheduled a move and was quoted 2pm. At 2:40 I received a call from the mover to say that they weren't done with the first job and would confirm with me in an hour as to when they'd be able to make it. I said that was absolutely ok, I understood. At 4:30 I was told that they were just leaving the job and that depending on traffic would be around 7-9. I asked if he could give me a better estimate so I'm not waiting around for two hours, he said 7-8.I called twice after 7 and no one picked up the phone. At 8:30 I got a call telling me they were going to leave the job. At this point I told him I was upset with how things turned out as he told me 7-8 and he started yelling "you're not supposed to get mad at the mover!!!!" I asked him to please call me when he was arriving so I'd make sure to be at the apartment. He started going on several tirades about why he didn't answer his phone before, and I kept repeating myself that he wasn't listening to what I was saying, I didn't care about that, and all I asked was that he call so I can open the door when he arrives. He continued screaming so I hung up as I really did not need that, I wasn't going to be the dumping ground for his anger. He called me back and screamed that he wasn't coming and hung up on me.I've truly never had such an appalling experience in my life. A move is stressful as it is, and even with being patient and flexible with the scheduling that day it is not easy to wait around all day for a move that was delayed 6-7 hours. Regardless, after this happened Yael, dispatch contacted me and was truly empathetic and apologetic. She followed up a few times and handled things really elegantly and honestly. Had it not been for her I would've cancelled my move with them all together. My original contact Eugene said that if I contacted him the next day while the move was finishing he could give me some sort of discount.The move itself was fine, the men came early, were efficient, careful and thoughtful. It lasted about 1.5 hours. Eugene wasn't able to offer any discount in the end, and honestly for my move because they have a 3 hour minimum and the travel fee (my move was 3 blocks away) it wasn't worth it especially in addition to the emotional stress of it all. I would say that if you do need a 3 hour window and the travel time makes sense for you, to book them definitely. Yael and Eugene explained that the guy was tired and that the client before me on my original move day was stressful but in any case this was borderline traumatic. All things considered, the booking process was swift and easy and had it not been for that unfortunate situation I would have given them 5 stars. As a young single woman sometimes hiring things like moving companies can be a little nerve racking. However Patrick and his team were nothing but professional and even comforting during this very hectic day. I was having problems with my super about moving out there is no way I would of been able to handle this on my own. Hopefully I wont be moving for a long time but if I do I know who I will call. Thanks, Better Move for making the move into my new apartment bearable and sucessful. DO NOT USE! LIED AND MISREPRESENTED!After receiving an email estimate from Eugene G. for three hours of work, Eugene refused to respond to our query of when we could book the start time for our move. Zvi M. spoke with us over the phone and increased the price by about $200, accusing us of not understanding the estimate. Zvi claimed we did not provide a list of items to be moved (even though we did) and claimed the estimate we were initially given was a "minimum" - despite that we have written confirmation it was an "estimate. "He also said New York Law mandates that moving companies have to additionally charge for one hour travel time (half an hour to your first apartment and half an hour back from the new apartment). Yet when pressed for the Rule, he refused to provide it. Zvi was rude, condescending and self-important. DO NOT USE his other moving company, Manor Moving and Storage, either, unless you like being insulted and conned. I just used Better Move last week for a third time. As for this recent move, I was moving from Manhattan to Brooklyn. I was moving from a studio to a one bedroom. I wasn't able to finalize my new location until two weeks before the move. Despite the move occurring in the midst of the busy season, Zvi was accommodating as possible up until the last minute. He was able to squeeze me into a highly busy morning slot. His crew was on time, extremely professional and efficient. I did most of the packing but there was some packing that Better Move had to do. None of my items were broken or damaged and there was no damage to my old or new building. There's a complaint below about the final cost being higher than the initial estimate. My actual cost was higher than the estimate too, but that was because additional packing and time was required that wasn't accounted for in the estimate. Estimating a move is not an exact science and I suspect it would've occurred with any moving company. All said, the job took 7 hours (including travel time) instead of 6. 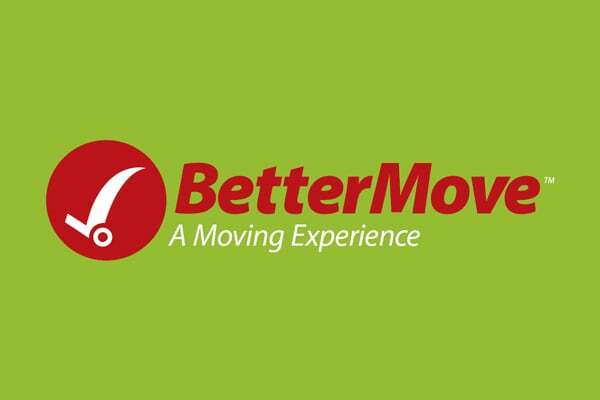 In the past, when I've had an issue, Better Move was responsive and very fair in resolving it. I would definitely use them again.